It’s the smartphone conspiracy theory that just won’t go away: Many, many people are convinced that their phones are listening to their conversations to target them with ads. Vice recently fuelled the paranoia with an article that declared “Your phone is listening and it’s not paranoia,” a conclusion the author reached based on a 5-day experiment where he talked about “going back to uni” and “needing cheap shirts” in front of his phone and then saw ads for shirts and university classes on Facebook. Some computer science academics at Northeastern University in the US had heard enough people talking about this technological myth that they decided to do a rigorous study to tackle it. 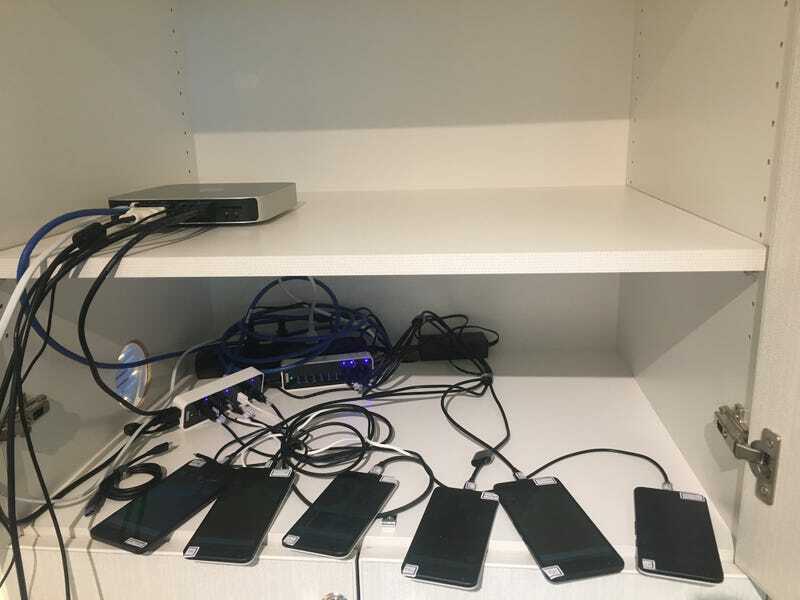 For the last year, Elleen Pan, Jingjing Ren, Martina Lindorfer, Christo Wilson, and David Choffnes ran an experiment involving more than 17,000 of the most popular apps on Android to find out whether any of them were secretly using the phone’s mic to capture audio. The apps included those belonging to Facebook, as well as over 8,000 apps that send information to Facebook. Of the 17,260 apps the researchers looked at, over 9,000 had permission to access the camera and microphone and thus the potential to overhear the phone’s owner talking about their need for cat litter or about how much they love a certain brand of gelato. Using 10 Android phones, the researchers used an automated program to interact with each of those apps and then analysed the traffic generated. (A limitation of the study is that the automated phone users couldn’t do things humans could, like creating usernames and passwords to sign into an account on an app.) They were looking specifically for any media files that were sent, particularly when they were sent to an unexpected party. The strange practice they started to see was that screenshots and video recordings of what people were doing in apps were being sent to third party domains. For example, when one of the phones used an app from GoPuff, a US-based delivery start-up for people who have sudden cravings for junk food, the interaction with the app was recorded and sent to a domain affiliated with Appsee, a mobile analytics company. The video included a screen where you could enter personal information—in this case, their postal code. Appsee meanwhile, claims that it was GoPuff that screwed up. Appsee’s CEO Zahi Boussiba told me that his company’s terms of service “clearly state that our customers must disclose the use of a 3rd party technology, and our terms forbid customers from tracking any personal data with Appsee.” He said their customers can blacklist sensitive parts of their app to prevent Appsee from recording it. The Google Play policy says you must disclose to users how their data will be collected. GoPuff used Appsee to help optimise performance of its app, so the recording wasn’t unexpected on the company side, but it’s concerning that a third party can record your phone screen with no notice to you. It illustrates the ease with which a malicious actor could potentially steal information from your phone. A screenshot or video of app interaction could capture private messages, personal information, or even passwords being entered, as many apps show the letter inputted before changing it to a black asterisk. A screenshot or video of app interaction could capture private messages, personal information, or even passwords being entered, as many apps show the letter inputted before changing it to a black asterisk. The researchers weren’t comfortable saying for sure that your phone isn’t secretly listening to you in part because there are some scenarios not covered by their study. Their phones were being operated by an automated program, not by actual humans, so they might not have triggered apps the same way a flesh-and-blood user would. And the phones were in a controlled environment, not wandering the world in a way that might trigger them: For the first few months of the study the phones were near students in a lab at Northeastern University and thus surrounded by ambient conversation, but the phones made so much noise, as apps were constantly being played with on them, that they were eventually moved into a closet. (If the researchers did the experiment again, they would play a podcast on a loop in the closet next to the phones.) It’s also possible that the researchers could have missed audio recordings of conversations if the app transcribed the conversation to text on the phone before sending it out. So the myth can’t be entirely killed yet. The level of paranoia people feel about their phones is understandable. We have on our persons at almost all times a little device with myriad sensors that can potentially monitor our behaviour. The uncanny accuracy of the ads you see, though, almost certainly isn’t the result of the phone literally eavesdropping on you; it’s a combination of good targeting based on the amount of your digital and real world behaviour that is captured via apps, along with the fact that you aren’t as unique as you think you are. Advertisers know what you’re talking about because other people like you are talking about the same things and buying the same things.